A taxi driver died in Kurseong's best-known boutique hotel this morning, similar to the manner in which a Thai boy had passed away after falling unconscious while taking shower in a room. Bikash Biswakarma, 32, had checked into Cochrane Place yesterday evening, along with a British tourist and guide Aditya Chhetri. Speaking over the phone, Chhetri said: "Biswakarma had entered the bathroom for a shower this morning. We had to hurry for taking the client for a tea garden walk. Biswakarma, however, did not come out even after 15-20 minutes. I banged on the door and there was no response. I then contacted the kitchen manager of the hotel and with the help of the staff, we broke open the door. He was lying unconscious. This happened around 8.50am." Biswakarma died while he was being taken to Kurseong subdivisional hospital. Before Biswakarma, Chhetri had entered the same bathroom for a shower. "Soon after I came out of the bathroom, I had a headache. I opened the windows of the room to let in fresh air," said Chhetri. On March 8, Koetsirikunwong Wingthawonsuk, 15, a Thai student, had fallen unconscious and later died after he had entered the washroom attached to one of the guestrooms of the hotel. Two other Thai students, Archavapong Artaumbauy and Pakin Tsantsirametkakul, both aged 14, were staying at the same hotel and had fallen unconscious on the same day. The two were successfully treated at Neotia Getwel hospital in Siliguri then. Dr. P.D. Bhutia, a senior consultant (internal medicine) at the Siliguri nursing home, said the Thai duo had responded well to the treatment for gas poisoning. "Their sickness was caused by unknown poisoning, probably carbon monoxide. Once we administered high flow oxygen to the two boys and adequately hydrated them with intravenous fluids, they immediately responded well," said Bhutia. The hotel has gas geysers in the bathrooms attached to all 31 rooms. Amit P.Javalgi, the superintendent of police, Darjeeling, said: "We have asked the hotel authorities to close the hotel for some days. We have asked experts from Central Forensic Science Laboratory to find out the possible cause of the accidents. If there is negligence on the part of the hotel authorities, appropriate action will be taken." Nigel Chowdhury, operations and business head at Cochrane Place, refused to be drawn into any conclusion. "Out of the 31 rooms, 10 rooms were booked last night. We allow tourist guides and drivers to stay in the hotel rooms when they bring in visitors. The gas geysers are all interconnected with a central system." The rooms where the Thai boy and Biswakarma had fallen unconscious are different. 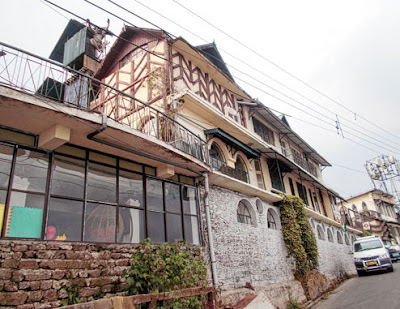 A taxi driver died in Kurseong's best-known boutique hotel this morning, similar to the manner in which a Thai boy had passed away after falling unconscious while taking shower in a room. Bikash Biswakarma, 32, had checked into Cochrane Place yesterday evening, along with a British tourist and guide Aditya Chhetri.